There are a variety of flu treatments that may be used when one catches influenza. This basically shows that there are a variety of approaches that people go for when they get the flu. You can choose from therapies, medications, symptomatic treatment, and others. What one has to consider when looking for a mode of treatment is avoiding bogus and fraudulent products that claim to cure the disease. Symptomatic treatment is sometimes the very thing that patients want to get. Relief from a diseases’ symptoms is just as important as treating its cause. However, it should not be the only motive or goal when looking for an effective solution especially when dealing with influenza. When you use this kind of flu treatment, you usually don’t need to be rushed to the hospital. The CDC, which is short for Centers for Disease Control and Prevention, is the authority in United States with regards to disease prevention. They have made the following recommendations for those who are suffering from influenza. These are also things you can do for symptomatic relief and treatment. Remember to watch for emergency signs that are indicative of the disease being more serious. The following symptoms indicate that symptomatic treatment may not be enough and that you need immediate medical attention. If your children exhibit the said symptoms see your doctor immediately. Vaccination is the best flu treatment out there. Take note that you will need two vaccines to be sure that you’re fully protected from influenza. The H1N1 flu vaccine is different from the seasonal flu vaccine and you need to get both for yourself and your kids. Locating a flu clinic near you can be done on the Internet. You can use Google’s flu shot locator or look them up yourself online. 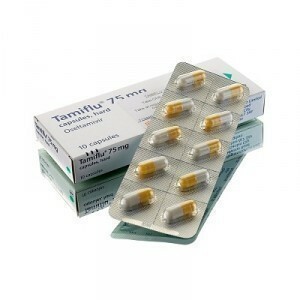 You should talk to your doctor regarding antiviral medications for flu treatment. Prescription medicines come in various forms (e.g. inhaler, liquid, pills). Doctors may prescribe Oseltamivir and Zanamivir to treat the H1N1 flu virus while Amantadine and Rimantadine to treat other types of influenza. These are only available as a prescription, which means you should see your doctor to get the right prescriptions.